Are you looking to begin a challenging, yet rewarding career in the heating industry? 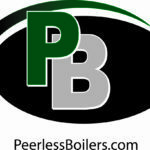 PB Heat, LLC, a leading manufacturer of commercial and residential boilers, might be a great fit for you. We believe our employees to be our most valuable asset and competitive advantage, directly contributing to the success of our company. That’s why we regularly celebrate their achievements and invest in their development and success. At PB Heat, our customers come first and all of our actions and decisions are guided by their needs. We foster a culture focused on providing customers with great products and exceptional customer service. An Equal Opportunity Employer, PB Heat embraces diversity and treats each employee with dignity and respect. We value individual contributions and together find better ways to manage and continuously improve our business. We invite you to explore our career opportunities and consider joining our team!